The unlikely combination baffles my mother (“Kate, you’re wearing BOOTS with that dress?” “Yes, mom…”) but I feel pretty confident speaking on behalf of the majority of co-eds out there. Nothing. Beats. It. I found this darling lace off-the-shoulder dress (on sale for $27!) 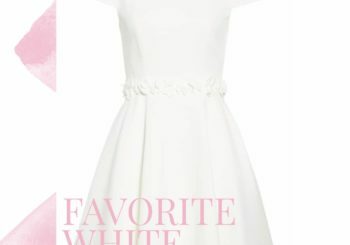 from Marley Lilly’s boutique, Monday Dress! The neckline, duh, gets me, but I also love how versatile it is – a dress you can wear cheering on your favorite team all Saturday, or throw on with wedges for the perfect evening ensemble. 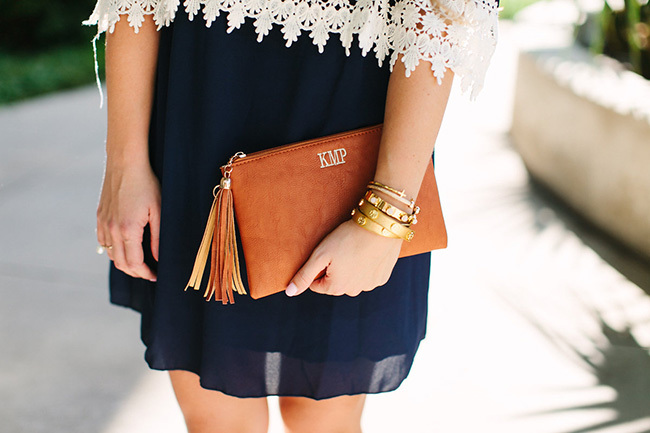 And how cute is that tassel monogrammed clutch?! Plus, I have the best news ever for you… you’ll receive this blanket scarf for free with your purchase of $75 or more from Marley Lilly or Monday Dress! So now is definitely the time to stock up on some monogrammed fall favorites… this two-toned pullover (dying over the color!) these pearl studs , or even these riding boots! Thank you, Marley Lilly, for sponsoring this post! This is such a cute outfit!! I wish my school dressed up for tailgates! Adorable! Love this look for tailgating. Oh how fun!! You loo so cute! That is a really cute dress! We don’t do tailgating here, but I wish we did!! Kate, you are just the cutest! 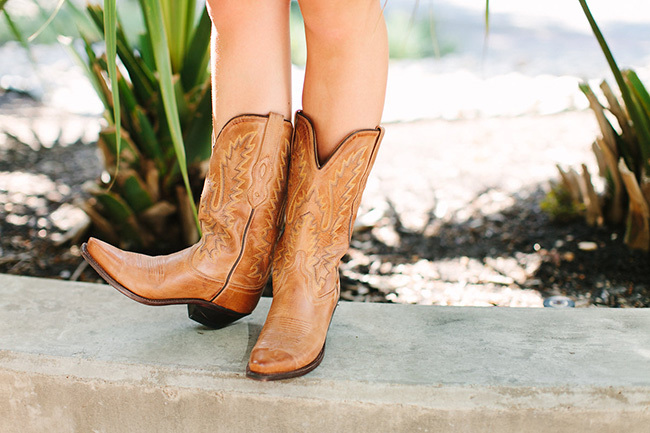 Love those boots! 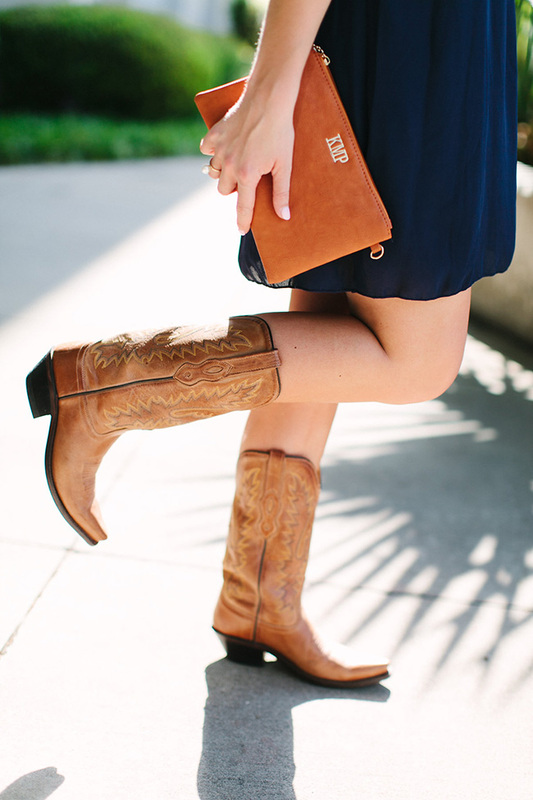 They look perfect with that clutch. I love Marley Lilly! I have those same exact boots, they are the best! The perfect classic boot and great for beginners like me who moved to the midwest from California. Definitely didn’t see many boots out there haha! I love that clutch! What color did you get the letters in? You look beautiful in this shade of blue!! !